Winter is officially here with steadily colder temperatures perhaps on the way. Before the snow and cold get any worse, there are a few things you should to to ready your garage for the season. Ice, cold, and salt can all make it harder for your garage door to operate. To prevent squeaking and screeching, lubricate the hinges and rollers well. 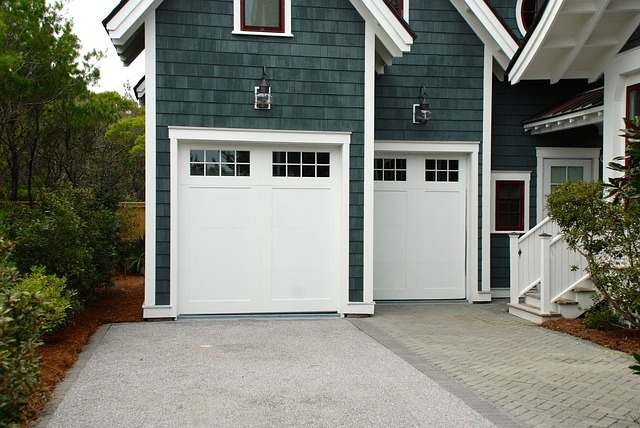 You can use an all-purpose lubricant like WD-40, but a lubricant made specifically for garage doors is an even better choice. Make sure you also lubricate the chain associated with your garage door opener. Open and close the door a few times to work the lubrication into the chain. 2. Check and replace insulation, if applicable. If your garage is insulated, check the insulation for mold and moisture. Replace any moldy insulation — it won’t be effective, and it will release harmful mold spores into the air. Make sure you use insulation with foil backing, and place it with the foil backing facing towards the inside of the garage. 3. Plug any holes or cracks. It’s cold outside, and the squirrels and rabbits know it! Unless you want them to move into your garage, make sure you plug or cover any holes providing access from outdoors. You can stuff small holes with steel wool; mice and rats won’t burrow through it. Take a few hours to sort through the items stored in your garage. Pull out any that are associated with winter, such as snow shoes, shovels, scrapers, and boots. Place them in areas where they’ll be readily accessible. Stash summer items, like tennis rackets and lawn care equipment, in the harder-to-reach places. 5. Put down some mats. If you park in your garage, make sure you put down a few rubber mats and perhaps a boot scraper. Use these items to clean off your snowy, salty boots and shoes before you come indoors, so your house stays clean. 6. Move fluid products inside. Do you store fluid items like fuel additive, motor oil, and cleaning solutions in your garage? If you check the labels, you will find that most of these products are meant to be stored in heated spaces. Move them indoors, perhaps to your basement, until the weather warms up again. If you have gutters on your garage, make sure they are clear as winter approaches. Leaves in the gutters may cause them to clog, leading to water pouring down the siding and causing damage. Clogged gutters are especially dangerous on heated garages, since heat escaping through the roof may melt snow and cause it to trickle down the roof. Follow the tips above, and your garage will be well-prepared for the cold winter months. If you need assistance caring for your home, contact Hassle Free Home Services to learn more about our seasonal maintenance options.